The craft beer explosion in Madison County has taught us that beer is diverse and complex. It can be dark or pale, bitter or sweet, heavy or light and everything in between. 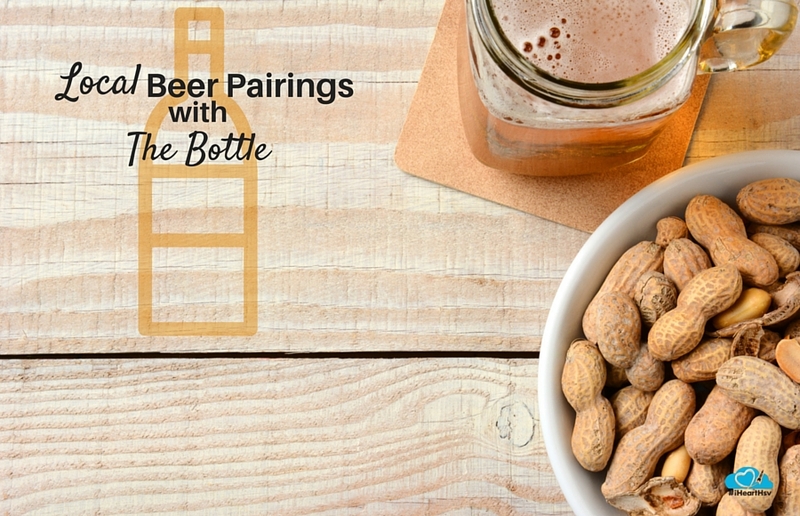 Just like with wine, beer can be paired with a wide array of foods. From filet mignon to chocolate cheesecake, there is a beer for every dish. 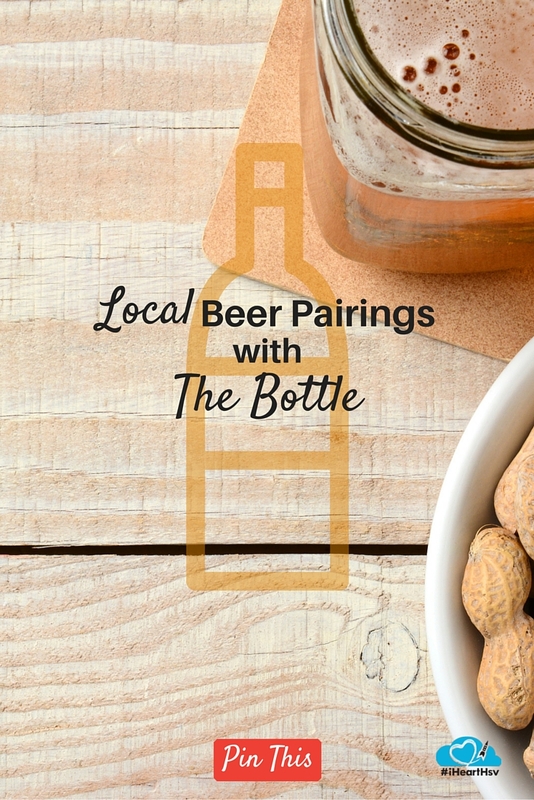 The Bottle in downtown Huntsville is especially talented at pairing a great local beer with a delicious meal. 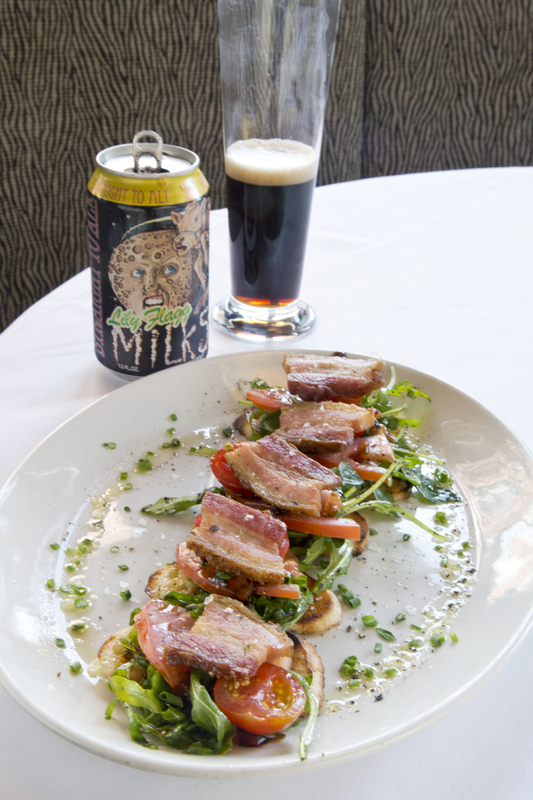 The malty sweetness of the milk stout balances nicely with the thick, salty pork belly. Homegrown tomatoes and baby lettuce add a fresh element to this tasty combination. 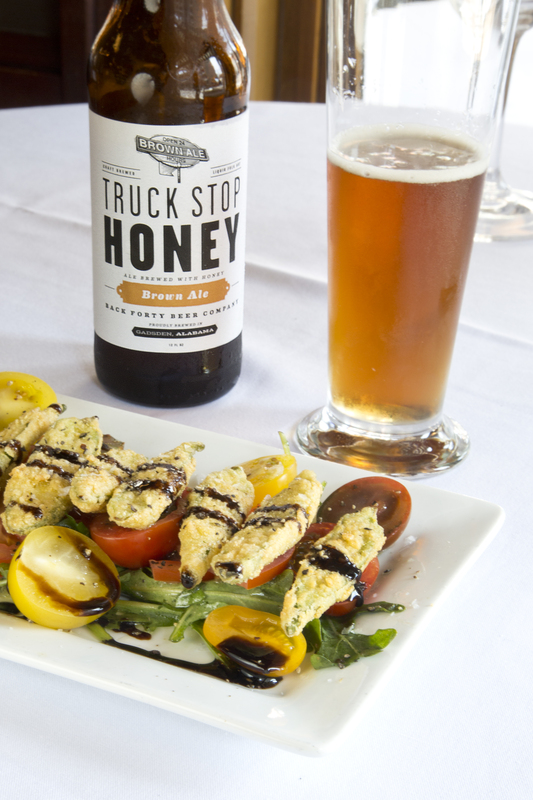 Pair this Alabama, honey brown ale with a quintessentially Southern salad. The fried okra, homegrown tomatoes and locally brewed beer will make you happy to be in the heart of Dixie! 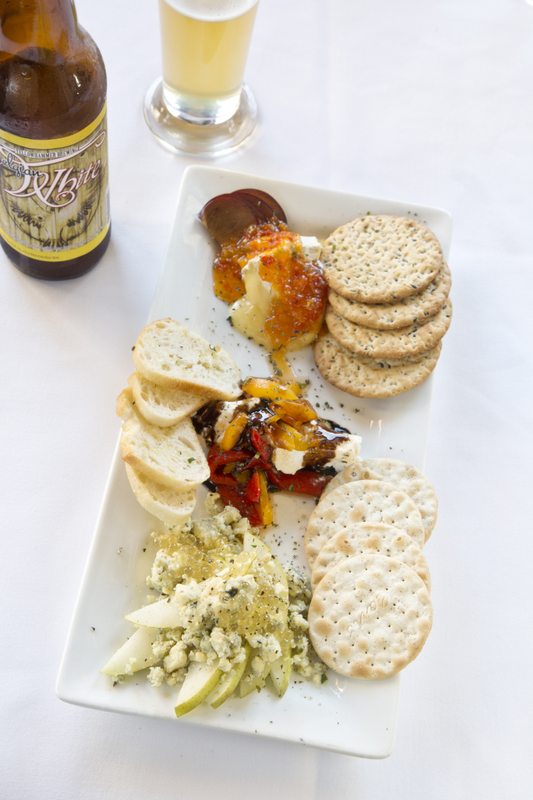 This strong Belgian dubbel sets the stage for a delicious platter of rich meats, pickled okra, olives and artichokes. 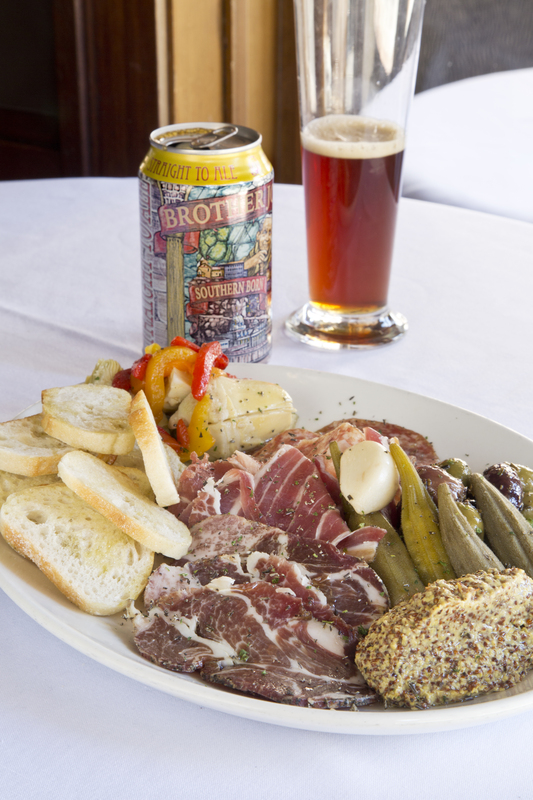 Brother Joseph’s is a full-flavored abbey-styled ale that complements the rich and rustic meats and accoutrements of this hardy dish. The earthy wheat tones of Yellowhammer’s flagship beer pairs well with the rich, pungent blue cheese crumbles. The Belgian-inspired brew has hints of spice from Kaffir lime leaves and fresh ginger, which goes nicely with the platter’s fresh pears and plums. Chocolate lovers have found a match made in heaven with this beer pairing. 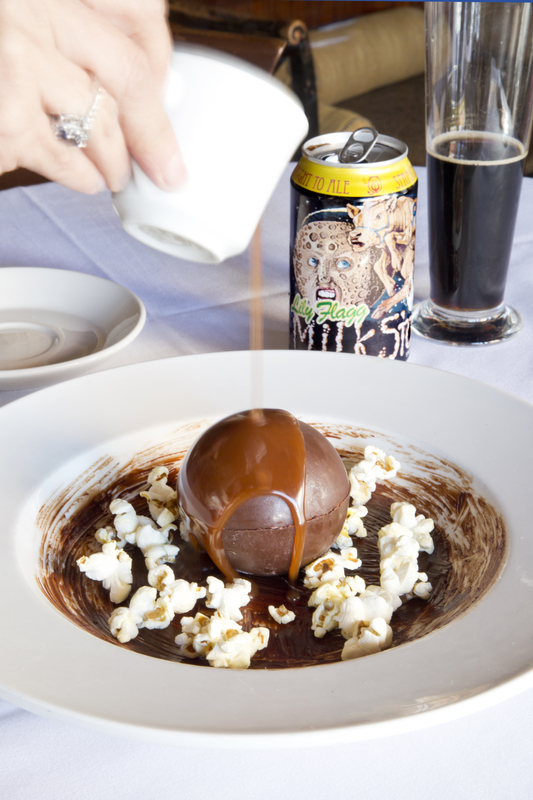 The creamy, chocolate and coffee flavors of Lily Flagg are enhanced with this chocolate packed dessert: a milk chocolate sphere filled with white chocolate mousse and a dark chocolate cake, surrounded with heirloom popcorn and doused in hot caramel sauce. This pairing takes dessert to the next level! Comment below if you have personally favorite pairings you would like to share with us! At the age of 12, a subscription to National Geographic magazine began Sarah’s passionate love for all things related to photography, and since then she’s photographed everything from weddings to house fires to beautiful desserts. 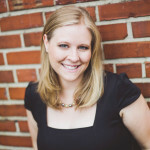 Sarah works as a photographer and writer in North Alabama and has photographed for numerous national brands including Southern Living,Cooking Light and Pillsbury. 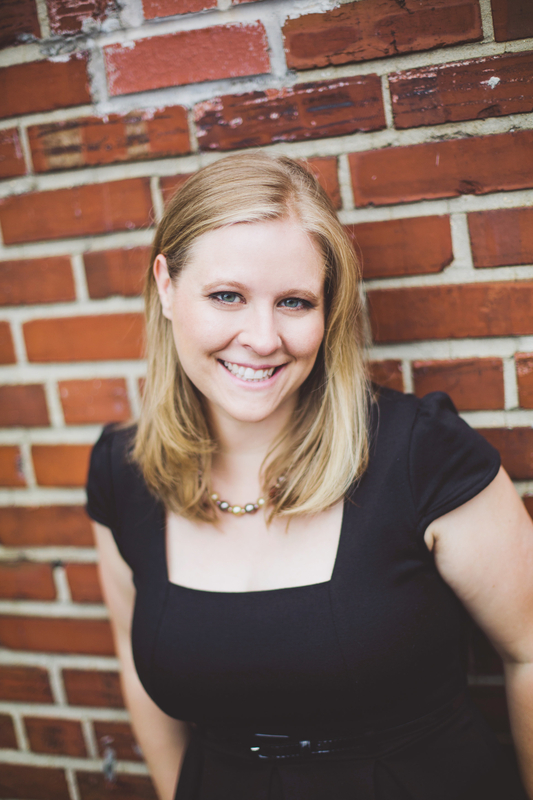 She also writes for several local magazines and is a regular contributor to the popular food blog Huntsville Eats. See more of her photography at S. Belanger Photography and keep up with her food adventures at The Jealous Crumpet.